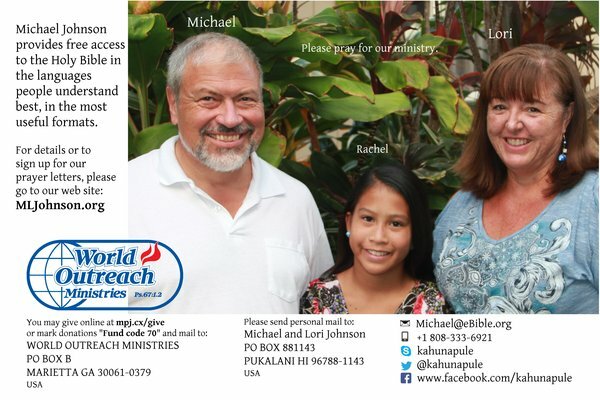 Can you help these people get a copy of the Holy Bible in their own language? Friend, can you help these people get a Bible? The purpose of this email is to tell you how much I appreciate the work you have done on your website eBible.org and to thank you! I have found your WEB translation to be very good. And, I appreciate the computer processable formats you have provided for various versions. Again, thank you for helping us do this work. May God be glorified! Currently, we have the Holy Bible online in 701 languages. We want to continue to provide free access to digital copies of the Holy Bible in even more languages, but we need your help. From June 2013 through the end of December 2016, I (Michael) did some part-time contract work for the Digital Bible Society. That helped us make ends meet and gave them a great boost in digital Bible distribution quality and quantity. Of course, we now need to focus on fund raising to compensate for this change in income. We can cover some of our living expenses with Lori's teacher salary and by renting out part of our house, but we still need regular monthly donations to cover ministry expenses. Those are all annual or monthly costs. That is why we so greatly appreciate our current financial partners! Pray for us and our ministry regularly. Donate for special projects, conferences, etc. One-time gifts as the Lord leads. How much should you give? Only what God puts on your heart, and what you can give willingly and joyfully. 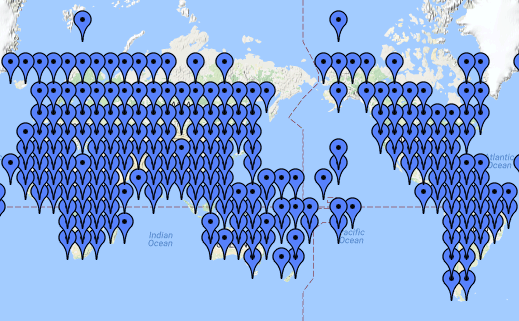 If you have questions about what we do and why, there now more details on our web site at MLJohnson.org, which now includes a frequently asked questions page. You can also download a high resolution version of our prayer card for quality printing, there. Successful recovery from 2 hack attacks and 2 hardware failures in the last 2 months with minimal Scripture site down time and significant upgrades to site security and capacity.